Most of business activities,such as celebration for important festival,opening ceremony for science and technology park or business park,ground-breaking ceremony for buildings,the annual corporation events and so on,need a temporary stage or structure. 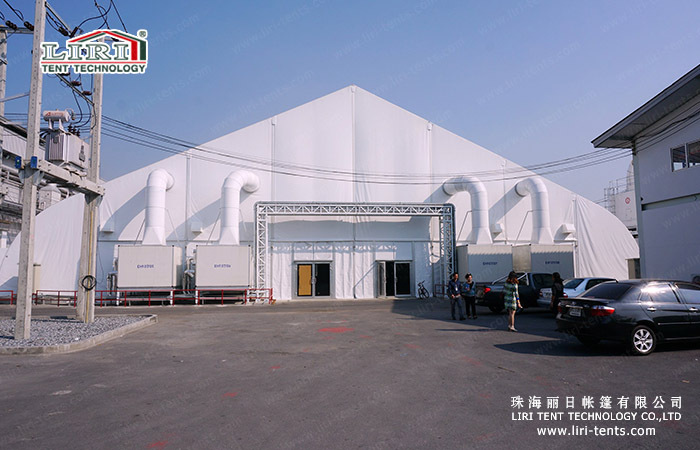 At this time we will need a celebration tent,then Liri Tent will be the first and best choice for you. Liri Celebration 1000 People TFS Curve Wedding Party Marquee Tent for Sale adopts modular structure,which means its length can be increased or decreased by 3m or 5m bay distance. The main frameworks are hard pressed extruded aluminum alloy(6061/T6),and the fabric adopts double PVC coated polyester textile,which is fire retardant under European Standard DIN4102 B1,M2. The 1000 People TFS Curve Wedding Party Marquee Tent for Sale design is very durable and strong and the wind loading is 100 kg/hr. It is convenient and easy to set up and tear down. It is easy to store because of its small volume. This 1000 People TFS Curve Wedding Party Marquee Tent for Sale like the Big tent has a wide range of applications for temporary events. Whether you want to construct a temporary or permanent tent both are an excellent choice. This type of structure is superior because of its fast installation, dismantling, and transportation and because of its strength and security. 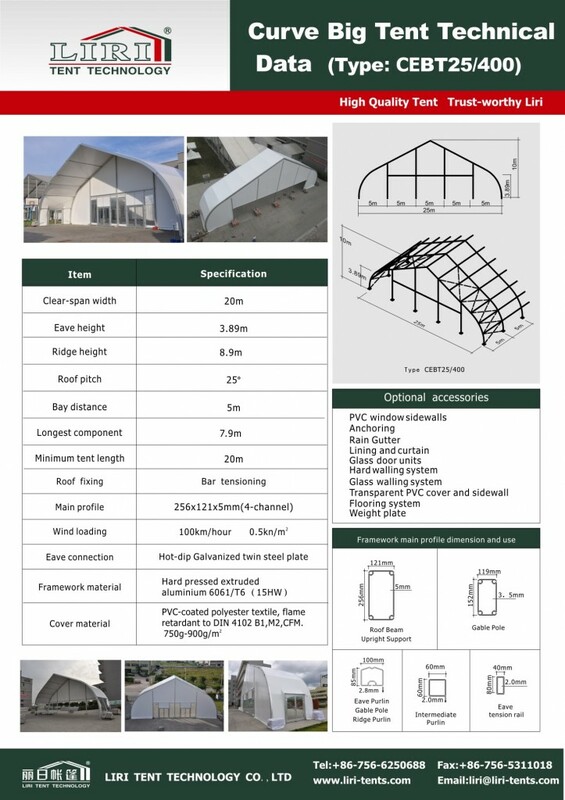 Due to the high beam aluminum alloy curve design and perfectly extended system, it enables the tent to be resistance to high wind and snow speeds.